Unable to access your password protected PST due file corruption or damage? Forgot password hence even ScanPST is failing to fix the Outlook data file? Then you are at the right place! Here is an easy guide to repair password protected PST without the password. Microsoft Outlook is one of the well-liked email client applications around the world. It saves all your Outlook related information in a separate folder offline (on your local drive) called PST file. The PST file holds your email messages, contacts, tasks, calendar entries, meeting requests, and more items. As this user data is valuable, Outlook provides a security feature in the form of password protection; for the successful working of the Outlook. PST password protection gives a unique code for each Outlook profile to keep your data unreachable from unauthorized entry. So, a password protected PST keeps your Outlook profile safe and secure. However, password protection is just to safeguard your Outlook data file from unauthorized access. It doesn’t prevent PST file corruption/damage. There are many states under which password protected PST may get damaged/corrupted easily like severe virus attack, improper termination of the computer, abrupt power failure, crashed OS/Outlook application, etc. What if, your password protected PST file is damaged or corrupt? Imagine you forgot the password also. If so, the problem can be even awful. Nevertheless, here is a solution. If you are wondering how to repair a password protected PST file without a password, then try these methods. How to Repair Password Protected PST with No Password? Note: Replace filename with your PST file name created by pst19upg.exe. This creates a password-free form (unlocks password protected PST) of your PST file. Now, repair the newly created file (password unlocked PST) using ScanPST. The pst19upg.exe tool works only on ANSI PST file formats (Outlook 2002 and earlier). It means, this application cannot work with UNICODE PST files (Outlook 2003 and later). 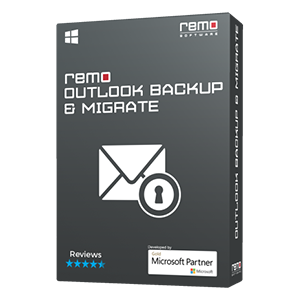 If your password locked Outlook data file is the UNICODE type, then you have to use Remo Repair Outlook (PST) which is best-rated software to fix your password protected PST files created by any version of Microsoft Outlook. 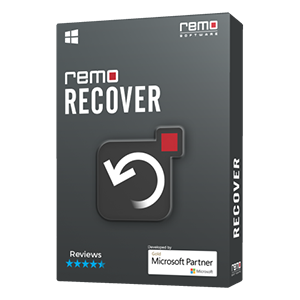 Remo Repair Outlook (PST) is the most advantageous tool that is capable to repair your Outlook PST file which is password protected. It is well suited with all popular Microsoft Outlook versions such as 2000, 2003, 2007, 2010, 2013 and 2016. The application comes with a function that can aid you to search out PST location if you don’t know the exact path. If your PST is compressed in a ZIP folder then also it can be repaired easily by making use of this software. During the PST file repair process, it can recover lost/deleted calendar items, inbox messages, notes, meeting requests, tasks, contacts, appointments, RSS feeds, journals, etc. Step 1: Run Remo Repair Outlook (PST) software, click on Open PST File button and select your password protected PST file. Step 2: Next, select the scanning mode as well as destination location to save the repaired PST and click the Repair button. Step 3: After completion of the file repair process, check the repaired PST file. Don't Forget - You need to log in your Windows machine as Local System Administrator to install and run this utility. Why Remo to Repair Password Protected PST? 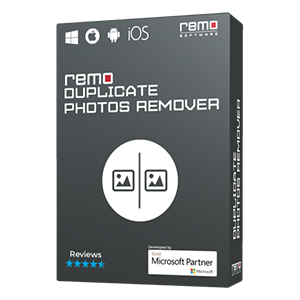 Remo Repair Outlook (PST) is the widely acclaimed and resourceful application that offers an understandable graphical user interface which helps the user to achieve the task in minutes. The program is free from virus or any other threats as it is pre-scanned with authorized and latest antivirus tool. 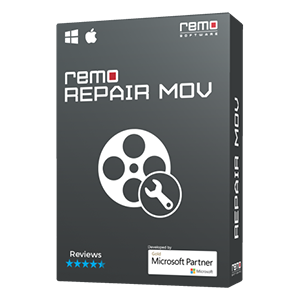 Moreover, Remo Outlook PST Repair tool doesn’t alter/damage vital elements of processed PST file during the entire repair procedure. It occupies hardly 50 MB disk memory to get installed on your computer system. Users can try cost-free demo build in order to verify reliability and working functionalities before purchase this PST repair tool. Always keep a healthy backup of PST file before performing any action such as formatting, re-installing, upgrading your Outlook version, etc.